Because of SkyDoesMinecraft, or whatever he is called. The gold bar looks like a stick of butter. It's also soft like butter. I'd point out that some nasty margarines are quite yellow. Anyway, people have been referring to their butter armor since it was first implemented to this game. Why? Do, or do not. There is no why. 1. its a yellow rectangle, like a stick of butter. 2. gold breaks really fast. its soft, just like butter. what on earth is that avatar of yours?!?! A popular youtuber does it, so nublings think they'll be popular if they say it/they actually find it funny/ they think it's funny pretending to be obsessed with butter. So, calling gold butter makes you a "nubling"? How does that make sense? Yes, but gold also has a melting point above 80 degrees Fahrenheit and can conduct electricity well. Just 80? So on a hot day I can take a gold bar outside and stick my fingers in it like its just liquid water at 80 degrees? Edit: Googled gold.1,948°F (1,064°C) is the melting point. 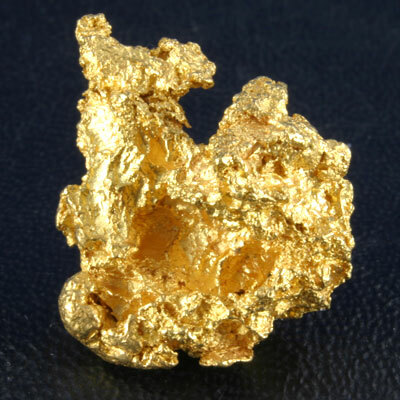 I think gold looks like some butters, And alot of youtubers call them butter now. He didn't say it was 80, he said it was above 80. In contrast to that of butter which, I am going to assume, is roughly 80°F. If it is butter, then why is it called gold in-game? I just had a thought; Even though I've NEVER heard of gold being referred to as butter. Imagine how screwed they'd be if Mojang added butter later on. "Dyood! Bro! toss me som o dat butter block"
and for the sake of it! 3: It's soft and yellow. Might as well be butter. 5: For the novelty of an inside joke. Please click on my dragons, it would really help, thanks! In all language packs, an item called 'butter' is non-existent. Why call gold butter? It doesn't even look like butter. Is there something so bad about calling gold butter? D; Paula Deen ftw! Personally I also call lapis larpis and redstone raystone. I guess we call it butter after people started to say it, then it just got embedded in "minecraftian slang". Oh, of course! Some kid with a microphone and screen-capture software system must be the source of all knowledge. Since when do you put butter on apples, watermelons and carrots? I'm fascinated with your ability to perceive the smoothness of items in a 16x java game. Actually, I think what you mean in 'malleable', not soft, but that still wouldn't prove your point. Butter is also not yellow, it's white. Calling gold butter on the basis of it yellow color is like calling a lightbulb a member of your family because it can be found in your house. We might as well call snow drywall since it isn't already in the game. Oh, silly me, not seeing the immense humor behind the neanderthalic alias gold has as butter. Oh, and I like how you tell me not to be a hater after your previous statements, but hey, a little contradiction never hurt anyone.